^ 1.0 1.1 Roger Y. Tsien, chemist shared Nobel for tool to research Alzheimer's, dies at 64. Washington Post. 2016-08-31. ^ 4.0 4.1 LaFee, Scott. 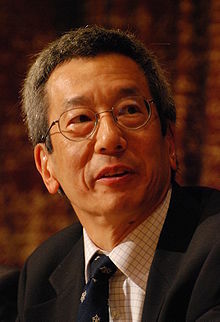 Nobel Laureate Roger Tsien Dies, Age 64. UC San Diego News Center. 2016-08-31 [2016-08-31] （英语）. ^ UCSD Nobel laureate Roger Tsien dies. The San Diego Union-Tribune, LLC. 2016-08-31 [2016-09-17]. （原始内容存档于2016-09-01） （英语）. 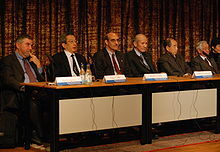 ^ Robbins, Gary; Fikes, Bradley J. Roger Tsien, who was awarded the 2008 Nobel Prize in chemistry, dies at 64. LA Times. 2016-08-31 [2016-09-17]. （原始内容存档于2016-09-02） （英语）. ^ Roger Tsien: Bringing color to cell biology （英语）.